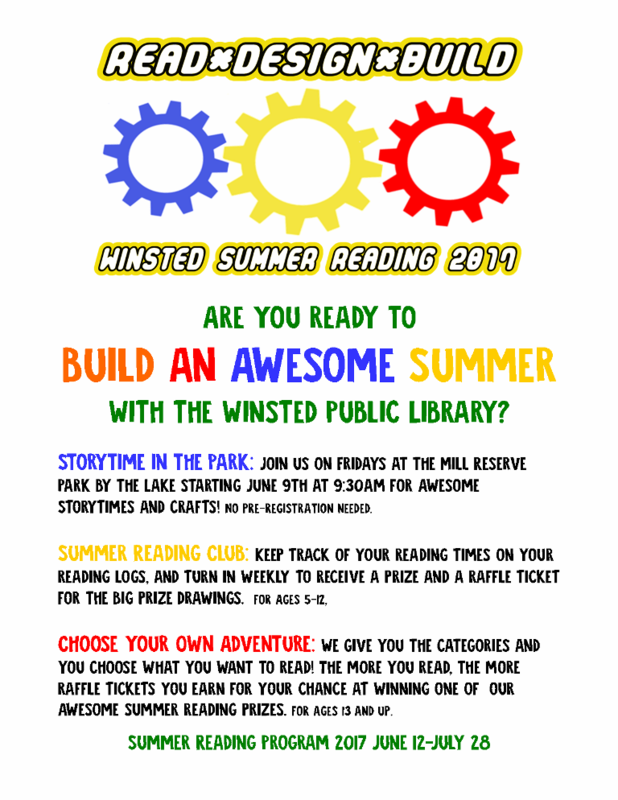 Winsted Public Library | Are You Ready to BUILD AN AWESOME SUMMER? Are You Ready to BUILD AN AWESOME SUMMER? Winsted Library Summer Reading Program! Do you remember how many hours you spent drawing with a Spirograph in the summer when you were younger? Have you always wanted to do a String Art project, but didn’t know how? 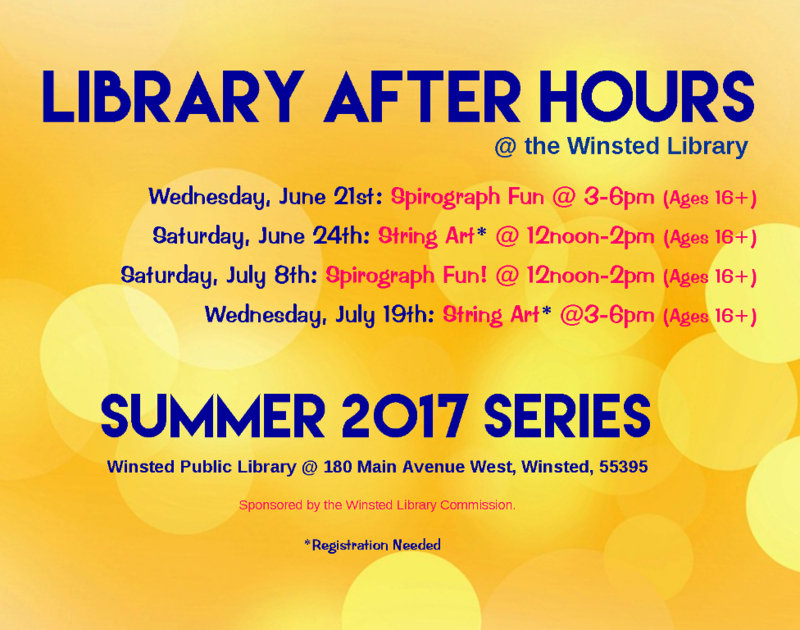 This summer’s Library After Hours series is for you! No registration is needed for the Spirograph Fun sessions; just drop in and see what you can design using our Spirographs! Choose from 3 templates (Heart, Feather, or an outline of the state of Minnesota) for the String Art sessions led by Jayde. Register early, because spots are limited!